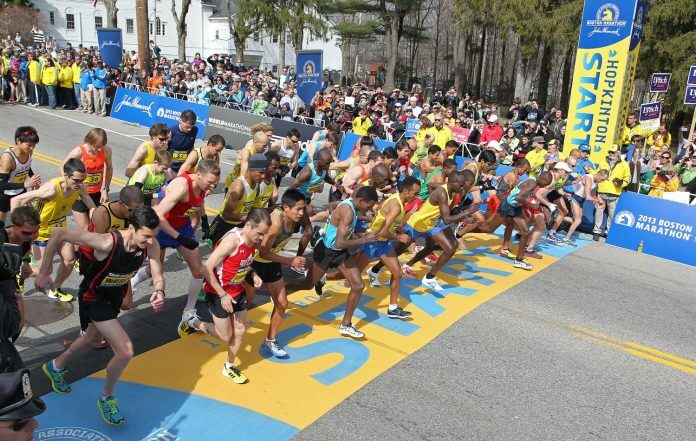 The 123rd Boston Marathon will be held on Monday, April 15, and as the world’s oldest and one of the most challenging, if you’re not running it, you’re watching it. 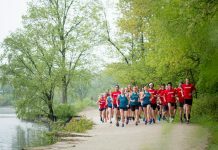 For those who aren’t traveling to the city for Patriot’s Day to compete or support runners in-person, you can still be part of the action from your living room couch. NBC Sports will provide national TV coverage from 7:30 a.m. to noon CDT. The wheelchair athlete wave begins at 8:02 a.m. CDT, followed by elite women at 8:32 a.m., and elite men and wave one at 9 a.m. All waves will have started by 10:15 a.m. CDT, so be sure to tune in by then to catch all of the action. 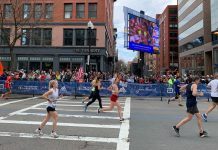 If you can’t plop it in front of your TV for four hours on that day, download the Boston Athletic Association mobile app to stay connected on all the happenings! You can also listen to the race on the radio by downloading the iHeartRadio app. To track specific athletes, utilize AT&T Athlete Alerts, by setting up an account and entering in the bib numbers of all the runners you want to track. You’ll receive text messages when your runners hit certain mile markers on the course with their time and pace. 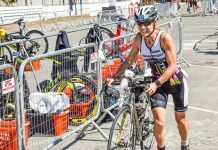 Handcycles & Duo Participants: 8:25 a.m.
To those traveling to Boston and running, good luck!